Asiago is an Italian cheese that I have recently been using in everything from pasta to salads. It is a sheep’s milk cheese which reminds me of feta in texture and taste. 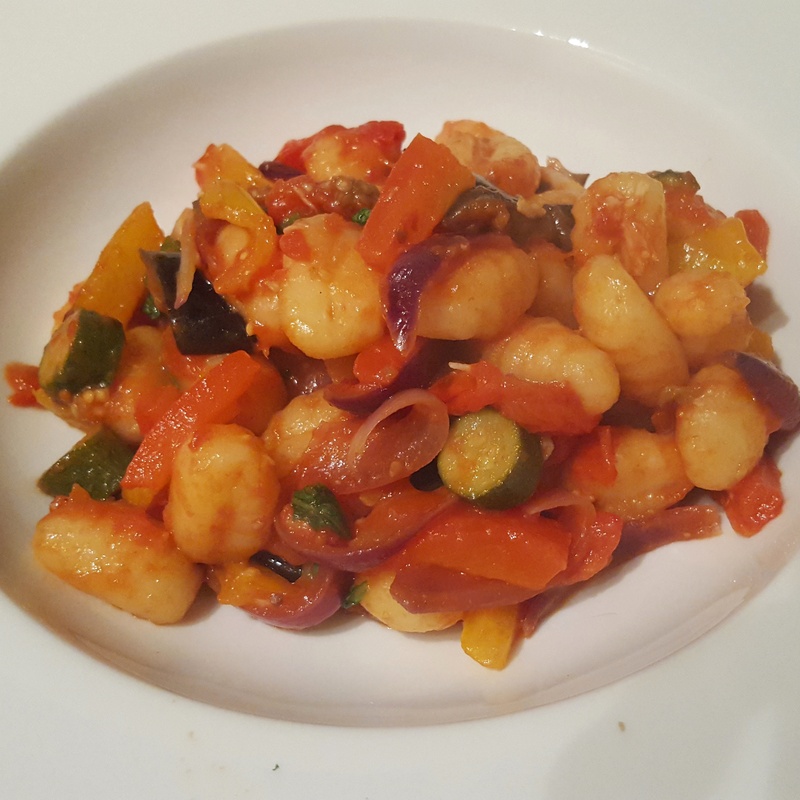 When trying to rustle up a quick dinner the other night I stumbled across some tomatoes and peppers that were nearly seeing better days and, with a few added extras, this gnocchi dish took shape. I have added another couple of my favourite ingredients here to really lift the flavours- anchovy and capers. The capers add a zip and zing whilst the anchovy dials up the savouriness of the sauce to eleven so do try them! I have kept the tomato sauce purposefully light for this time of year however a similar sauce could be made using tinned tomatoes if you prefer. You could also try baking the gnocchi in the sauce in the oven with a liberal extra sprinkling of the asiago to finish. 1. Take a pan and heat a glug of olive oil over a medium heat. Add the garlic, chilli and anchovy and cook for a couple of minutes. Pop in the red pepper and continue to cook until softening. 2. Next up, the tomatoes followed by the capers. At this stage lower the heat to low and allow the tomatoes to break down and simmer. 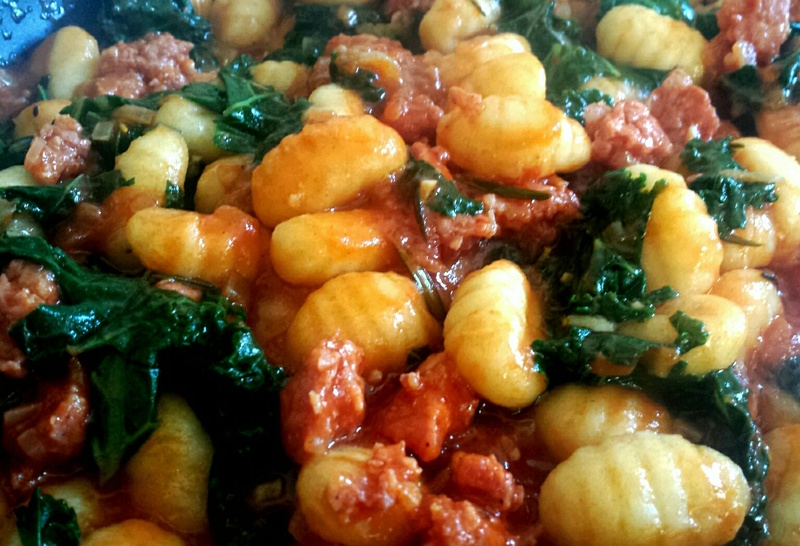 You want the sauce to be able to lightly coat the gnocchi. If the tomatoes look dry at any point, simply add a splash of water. When the sauce is nearly ready, bring a pan of water to the boil and cook the gnocchi for 2 minutes or as directed on the packet. Drain and add the gnocchi to the sauce to finish. Crumble in the asiago and finish with the basil before serving. Gnocchi with red pepper, tomatoes and asiago cheese- the perfect introduction to this Italian beauty! 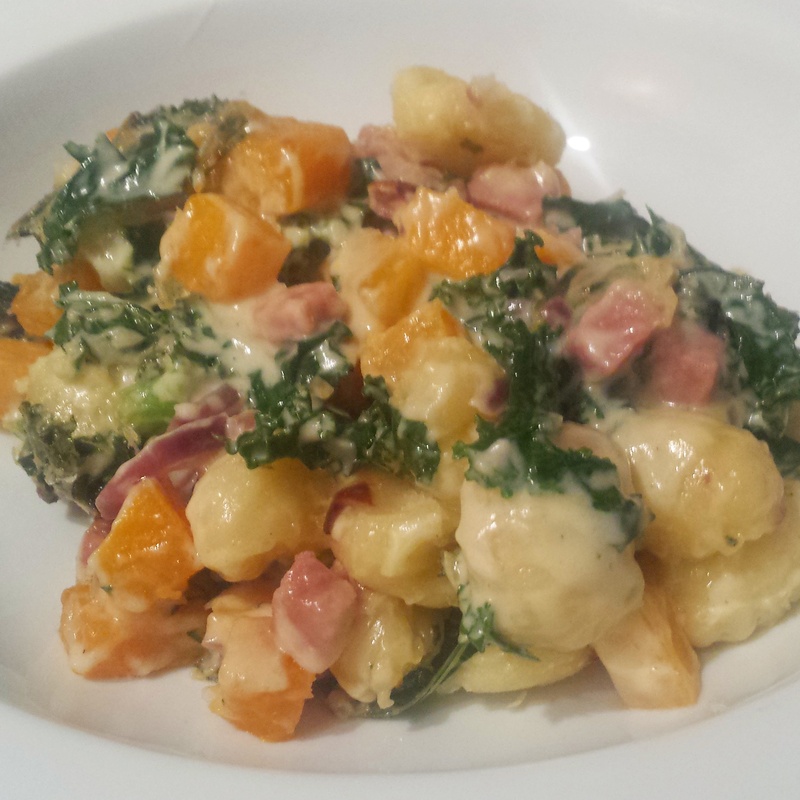 Ah gnocchi- one of the great Italian exports which is a firm favourite in the household! 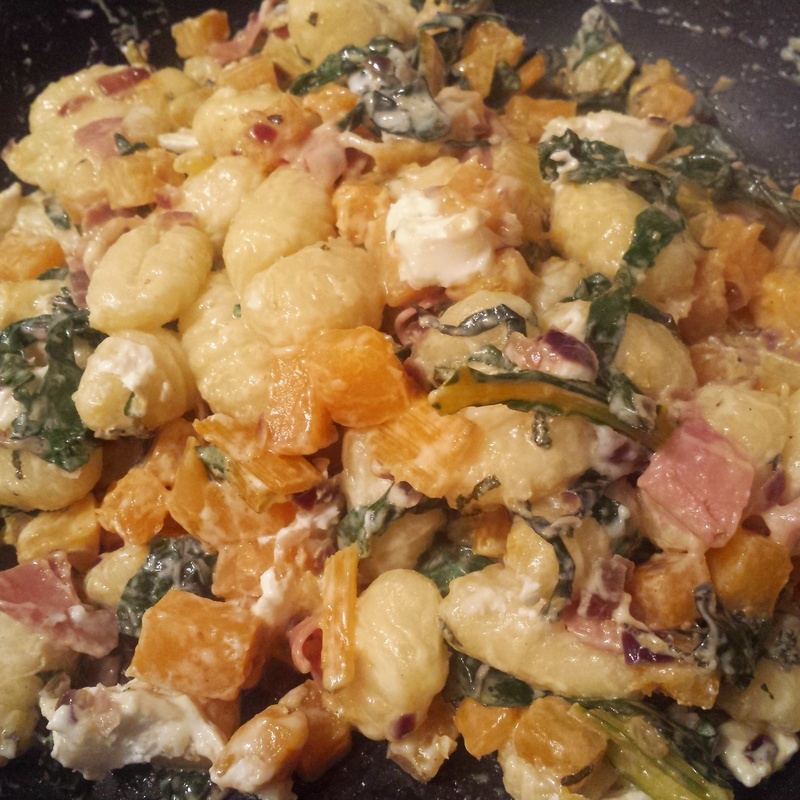 Gnocchi can pretty much cope with any sauce that you throw (or daintily stir!) at it and is the perfect vehicle from which to serve a rich, wickedly indulgent and creamy sauce. 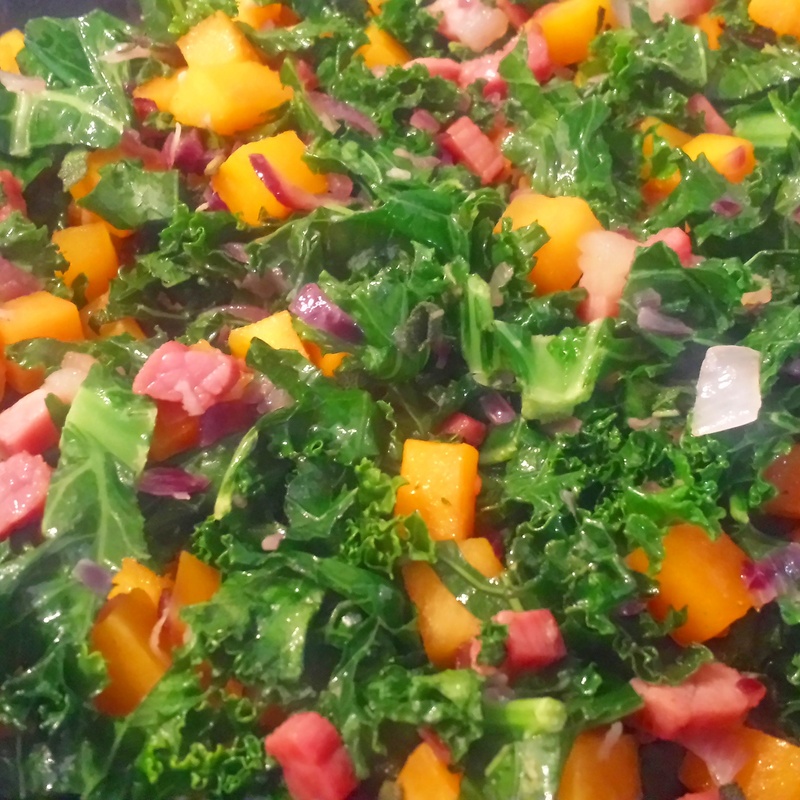 I have used chestnut mushrooms in this however a combination of mushrooms or wild mushrooms would also be delicious. 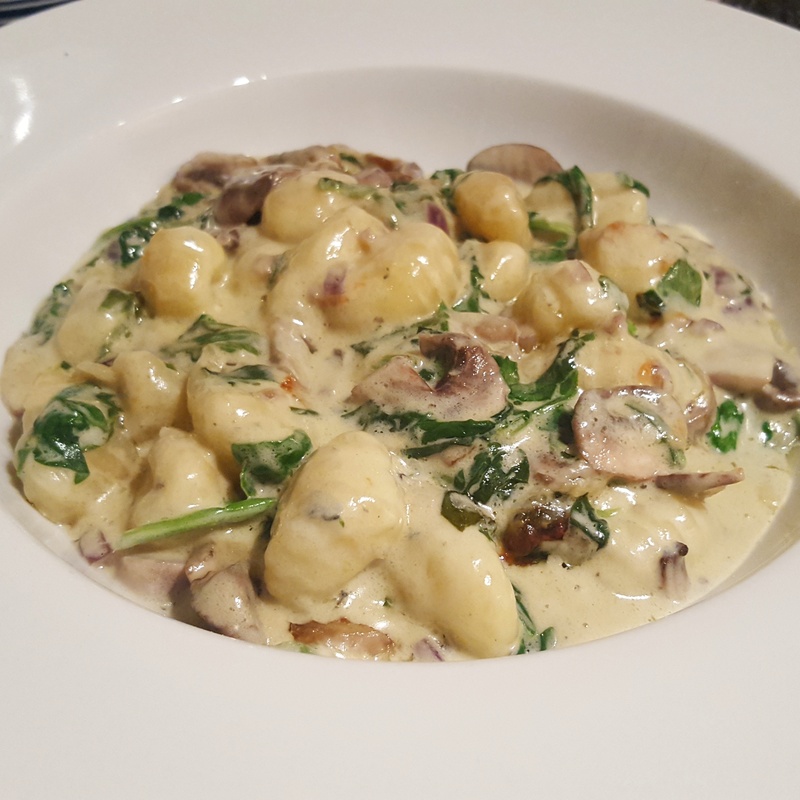 I have cut down the time by leaving the gnocchi to cook in the sauce so there is no need to boil them before baking as they will still go perfectly tender. 1. Start by preheating the oven to 200c/ 180 fan in preparation for later. You need to make the cheesy sauce and it really could not be simpler (well, short of using premade of course!). Take a medium saucepan and melt the butter and flour together. Stir to ensure it is smooth and there are no lumps which will help later on. Gradually add in the milk and cream whilst keeping the mixture moving! Bring to a boil before lowering to a simmer and keep going until it is thickening. 2. Remove the sauce from the heat and stir in most of the cheeses, making sure to keep some back for the topping; season to taste. Meanwhile take a frying pan and heat to medium/ high. Quickly cook the garlic and onion together before adding the mushrooms and cooking until tender. Mushrooms lose natural moisture when over a high heat which avoids potential soggy messes in the pan! 3. Add the cooked mushroom mixture into the cheese sauce and stir through the shredded spinach. It should start slowly wilting in the residual heat from the sauce. I love spinach so the more the merrier! 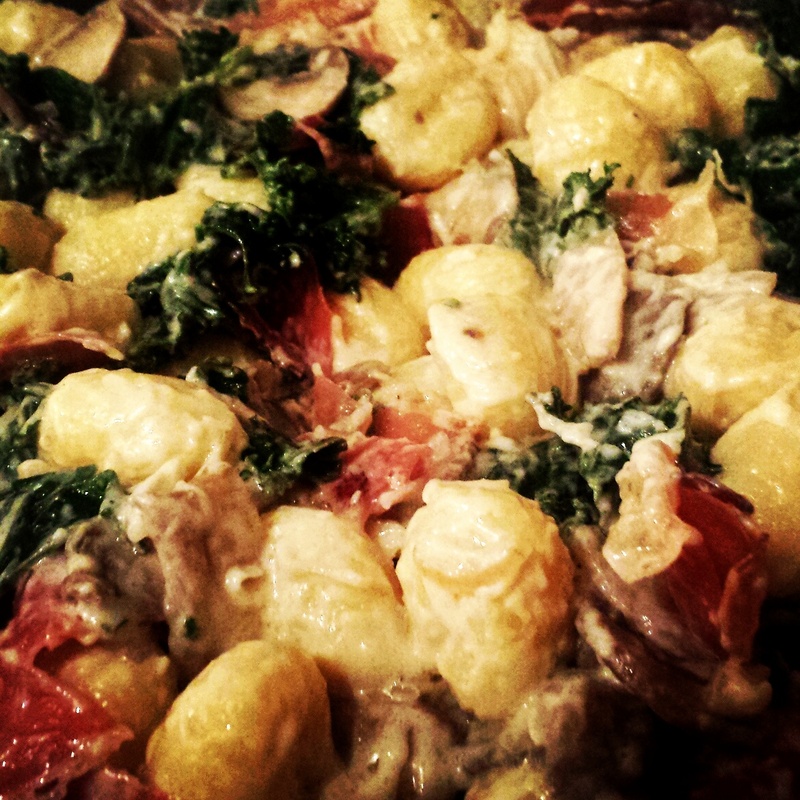 Take an ovenproof baking dish and throw in the gnocchi before topping with the sauce. Stir gently to combine so each piece of gnocchi is well coated. Sprinkle the leftover cheese on top and bake for approximately 30 minutes until golden and bubbling! 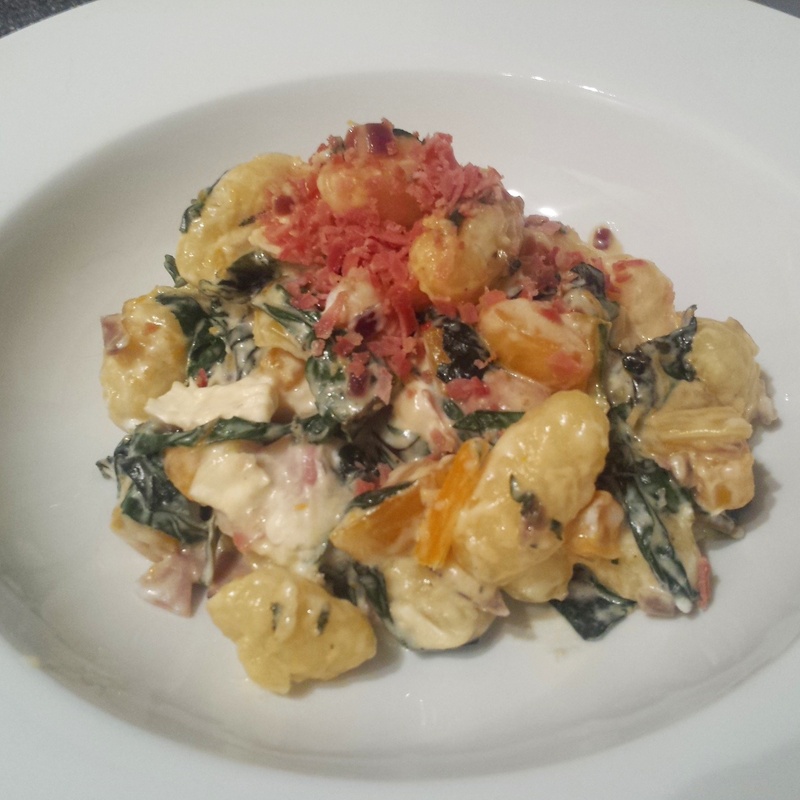 Cheese, spinach and mushroom baked gnocchi- a quick midweek treat that will have the family going back for more!